Iona Notebooks is the culmination of Kate Walters’ residencies and visits to Iona, where she stays in a shepherd’s bothy making paintings and drawings using a method she calls ‘becoming the hollow bone’. 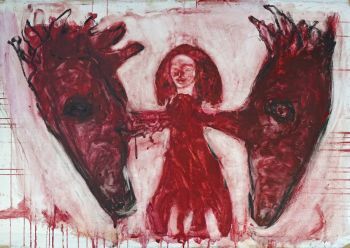 Made from plant inks, earth pigment and peat, as well as watercolours, oil paint and monotype, Walters’ work explores the relationships between humans and animals, plants and dreams. In this book, as well as her painting, you will find fragments of Walters’ poetry from her notebooks. Iona Notebooks is a limited edition of just 200 copies. 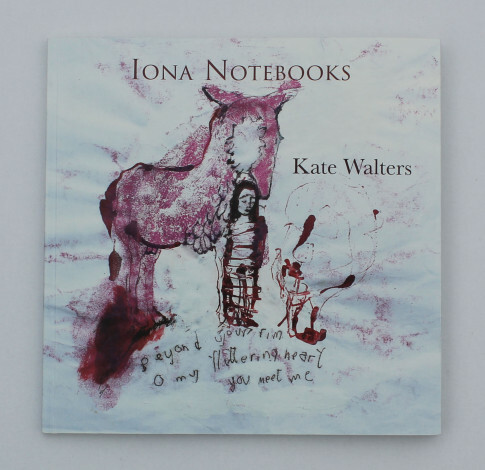 Each copy is signed and numbered by the artist and comes with 6 Kate Walters Iona postcards. The book is 48 pages and printed in Cornwall using 160gm Accent Smooth papers from GF Smith. 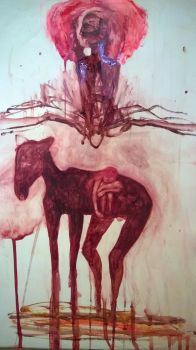 For more information about Walters’ work please visit her website. This entry was posted on 20 April, 2017 in homepage and tagged Guillemot Press, IONA NOTEBOOKS, Kate Walters. Bookmark the permalink.